The versatile combination of banjo, guitar, mandolin, tin whistle and four part vocal harmony lendsitself equally to high-energy Irish rebel songs and shanties, lively session tunes, and mournful gaelicballads. Grounded primarily in the folk/traditional style of Irish music pioneered by such bands as "The Dubliners", "Planxty", and "The Bothy Band", Portland's own "Biddy on the Bench" breathes lifeand authenticity into old standbys of the genre and lesser-known tunes alike.In the winter months of 2013, Biddy on the Bench was formed. The members include KevinGrgurich, Nick Frey, Noah Cotter, Casey Dyer, Tristan Cormack, and Trevor Cormack. Hailing fromCleveland, Ohio, Kevin, Nick, Tristan, and Trevor have been playing music together for close to adecade. 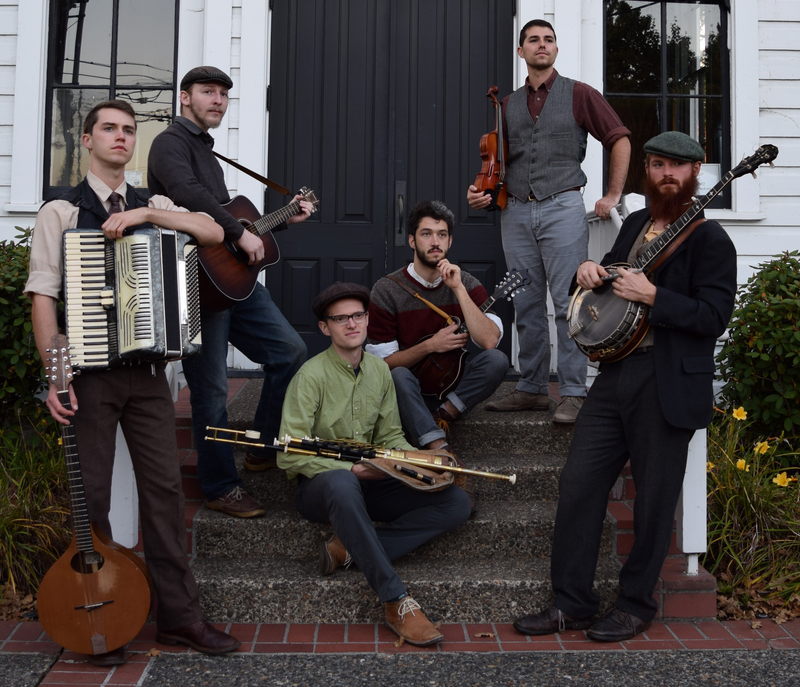 Noah and Casey are Oregon natives and bring with them years of experience with Irishmusic. Together, Biddy on the Bench approaches each song, each melody, with a passion for themusic and sharing it with others.